In Match 20 of the VIVO Indian Premier League 2019 (IPL 2019), Virat Kohli's Royal Challengers Bangalore will host Shreyas Iyer-led Delhi Capitals at the M Chinnaswamy Stadium in Bengaluru on Sunday. 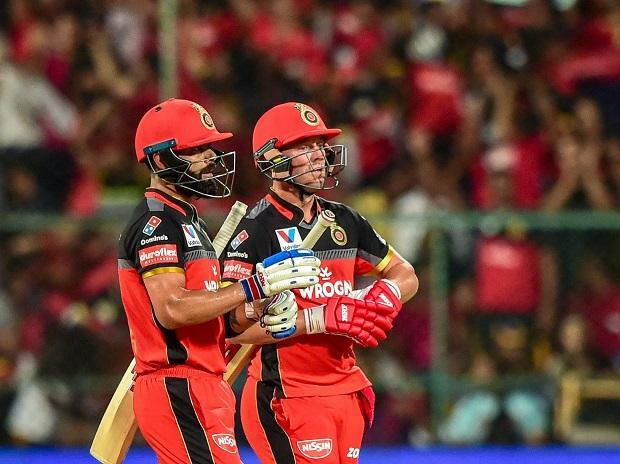 Royal Challengers Bangalore are facing a tough time in IPL 2019 as they have not been able to win a single match from their 5 IPL fixtures and are placed at the bottom of the IPL 2019 points table. A semblance of hope was seen in their last match against Kolkata Knight Riders where they put up a 200-plus runs target. However, all was washed away in Andre Russell's fury. Delhi Capitals too, are struggling after losing their last two matches. The Shreyas Iyer-led side lack the flair to keep their nerve in tight situations despite a strong batting line-up with Prithvi Shaw, Shreyas Iyer, Rishabh Pant and Shikhar Dhawan. ALSO READ: IPL 2019 RR vs KKR preview: Can resurgent Rajasthan stop rampaging Kolkata? All is not well in the RCB camp as the team is dependent on just star players and after that, it's just a castle of sand, ready for the inevitable. Virat Kohli has a plethora of issues to look at and it's going to be a difficult task for him to pick a starting point as it keeps getting more complex after each match. Mohammad Siraj became RCB's Achilles heel after he dropped easy and crucial catches and then during death overs, he was asked to leave his over midway for bowling over the head full-toss. He is likely to be dropped from the RCB playing 11. RCB's batting line-up looks fine with Parthiv Patel and A B de Villiers finally finding their form, Marcus Stoinis and Moeen Ali are good options for the middle order. On the bowling side, RCB is likely to carry on with Yuvendra Chahal, Navdeep Saini and Pawan Negi, but Mohammad Siraj and Tim Southee may have to rest. Barring Shreyas Iyer, the other batsmen of Delhi Capitals have not been able to perform cosnistently and this will cost them as they play on in the tournament. Rishabh Pant is yet to learn how not to throw away his wicket while Shikhar Dhawan is yet to provide a convincing knock. Prithvi Shaw shined with his 99 against KKR but he faces more challenges ahead. Colin Ingram, Axar Patel and Rishabh Pant can play a significant role in the middle order. The bowling line-up, which includes Sandeep Lamichhane, Ishant Sharma, Kagiso Rabada, Chris Morris looks fine, but Shreyas Iyer has not been able to deploy them at the right intervals. Delhi Capitals may drop Rahul Tewatia, but the remaining team looks fine for a track like Chinnaswamy. Royal Challengers Bangalore and Delhi Capitals playing 11 Probables. RCB vs DC match live streaming will be available live on Star Sports 1 HD, Star Sports 1 in English Commentary and Star Sports 1 Hindi, Star Sports 1 Hindi HD in Hindi Commentary. One can also live stream the RCB vs DC 2019 IPL match on Hotstar app and website. The fans can also watch in-depth analysis of live match on Star Sports Select 1, Star Sports Select 1 HD. Delhi Capitals: Shreyas Iyer, Colin Munro, Prithvi Shaw, Shikhar Dhawan, Hanuma Vihari, Colin Ingram, Manjot Kalra, Chris Morris, Sherfane Rutherford, Keemo Paul, Axar Patel, Jalaj Saxena, Rahul Tewatia, Rishabh Pant, Ankush Bains, Sandeep Lamichhane, Avesh Khan, Harshal Patel, Trent Boult, Amit Mishra, Kagiso Rabada, Ishant Sharma, Nathu Singh and Bandaru Ayyappa.